Spring means flowers, sunshine, flip flops, and BASEBALL! If you’re a baseball fanatic or know someone who is then we’ve got a giveaway for you! Win this set of five Baseball Iron On Transfers (including two brand new designs!) 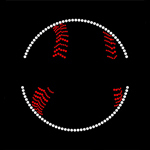 PLUS one of our new Baseball Decal Stickers!! 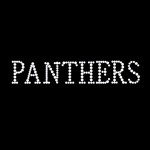 The winner will choose the mascot word so don’t worry if you’re not a Panthers fan. To enter, simply leave a comment on this blog by Monday, March 18th. A winner will be randomly selected and notified via email on the following day. Why do YOU love baseball season?? The weather? The friends in the bleachers? The concession stand food?? Baseball season will hopefully bring warmer weather! Simply put…I LOVE Baseball because it brings people together – Kids, parents, coaches, family and friends. These iron on transfers are so cute! I hope I win!! Getting to chat with other parents, spending time with my kids, seeing all the players grow from the beinging to the end of the season! Everyone think spring! Seeing snow here today in PA. Phil was confused. Missing hanging out with the crew and chit chatting. Oh, Watching my kids too. I love this set, I love this company!!! I love baseball! The game, the fans, the food! This is awesome!!!! You guys rock! I grew up loving baseball…now the greatest pleasure in my life is watching my two sons play ball. I’m happy they love the game as much as I do! Baseball, brings back momeries of not so long ago. coaching the JR. 4-H mixed team (boys &girls). A time of fun,& laughter. All the children as a team and working hard, supporting each other. No food stand in those days. The 4-H clubs would have pot-luck ! But oh the smell of all the great food. The grass freshly mowed. I love watching my kids play baseball. I am one of those loud and proud sports moms who love to cheer on the team. I love the baseball bling! I ABSOLUTELY LOOOOVE BASEBALL FOR ALL THE REASONS ABOVE AND MORE….. SON PLAYS CLUB BALL FOR MANY YEARS NOW, OUR BASEBALL FAMILY IS AMAZING, LOVE THE COMPANY, FUN, FAMILY AND FRIENDS TOGETHER FOOD, DRINKS, EVERYTHING! I LOOOVE IT!!! GO GENERALS! So excited about the new baseball bling, other moms & nana’s have tracked me down to find out where I got my other fab designs I rock at games that I could only have found from jubilee!so thank u for letting us show our support for our babies! LOVE, LOVE, LOVE BASEBALL. 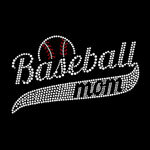 Just starting to use bling on baseball shirts, moms love it! The “heart” baseball says it all, sure it will be a great seller. I’m getting lots of orders for Baseball Bling!!! I love the baseball season because my SON is playing, and the weather is just right althought my friends are having FUN watching the game from the bleachers.I enjoy working ,watching the game as well as selling food in the conceession stand. I’m lucky enough in Southern California to be able to watch my kids play nearly year round! My favorite part? Watching them grow as players and as people. Seeing all that hard work put in to play by making an amazing catch, or getting a phenomenal hit. It takes hard work, dedication, passion, and team work, and there is no better place to learn those life lessons! I am so very excited this year for baseball Season because my son is playing for the first time! He hasn’t participated much in any sports so honestley I can’t wait for it all-the pactices, the games, rooting in the stands and wearing the blingy proud baseball mom clothing! Everything is very exciting to me about baseball season! Go st. Joes 9u blue. Us moms need some bling!! I love baseball season because it brings family and friends close together. Sitting at the ball park watching the teams play, and eating snacks is certainly a great way to spend the day. And of course it’s fun to see the moms, daughters and grandmas in their baseball bling! Why do I Love Baseball season the same as all seasons because I LOVE TO WATCH MY SON PLAY!! Watching him play all sports and him giving me his thumbs up right before bats or before any play makes me Smile !! My son is why I love Baseball season !! Love the game, my son played several years, now I look forward to the grand kids playing, love the food, hot dogs, nacho’s, and snow cones. Come rain or sunshine let’s play ball. I love you rhinestone transfers, I ordered several designs a month a go, excellent quality transfers. I love the American sport and can’t wait for it to start full swing. My son has played baseball since he was 3, he is now 10. I have ordered a few iron on bling from you a few weeks ago so I could bling out my daughters, my mom’s and my shirt so we could all match my son’s team. They turned out wonderfully and they are so easy and fast to use. It was nice to have the whole family match and be there to support my son during his games. I now am thinking of more creative ways that I could use your iron on transfers and stickers for baseball season, but football season is right around the corner too and I will be in need of football bling then. Thank you for your awesome product and at such a great price. I also really like the fact that you are a christian based business and include that on your websites and orders. I must be honest that was one reason I choose to order from you because of your christian faith and letting it be a part of your business as well. I hope I can be the big winner I would find plenty of uses for the bling. Thank you and god bless. Love the baseball season because we own batting cages and a retail sporting good store. We are hopping this time of year. I like to do custom shirts and our Moms, grams, and girls love the bling. I would like more small decals that I could put on insulated cups and water bottles. I would like to scale it down for this project. AWE!! How cute!! 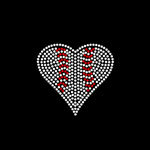 I love the Baseball Heart. My son has played football for a couple of seasons now, but this year he decided to try Baseball as well…and I am working on being a good baseball mom. I have never been a huge baseball nut, but I am a HUGE fan of my kid. lol Our season just started and he is adoring it, so I am guessing I better lear to love it ASAP!! Baseball is not only a sport in our family, it is a tradition! My grandfather founded Little League in our small hometown of Alice, Texas. His name was Zeke Mora. He continues to be a baseball legend among the young and old in our community. As I sit and cheer for my 12 year old son Carlos and his Giants, I appreciate the timeless memories it has provided my family! I have come to believe that the spirit and joy my late grandfather felt for this great American past time, has been handed down to my boy! 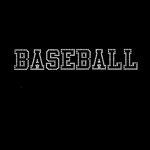 Baseball is life… Play it, love it, live it!!! We are huge baseball fans, try to get to SF as much as possible to watch the Giants (my hubby’s hometown) and our son just started playing little league and guess who got “voluntold” to be the Team Mom He played with a community league before, much smaller scale – this is a “whole new ballgame” LOL! Baseball, just knowing you can get out and enjoy the games with friends watching your little ones play. This is my 7th year as a “Baseball Mom!” I love watching my boys on the field and look forward to this time of year so much! My perspective will be a little different this season as I am giving coaching a try for the first time! My 7 year old son is very excited to have Mom as his Coach and my older son and husband are so supportive! I love watching baseball because my daughter loves it. She plays softball and she learns stuff while she is watching baseball. We have season tickets to the Los Angeles Angels. The friends that you make when you go to that many games usually turn out to be life long friends. The foods is ok at the stadium but we bring food in thats the best part of a baseball game. The number one thing is most of the players are cute and not bad to watch. I love to watch my two boys play baseball. I was just introduced to your products and love the variety that you offer…..Can’t wait to get my stickers for the car!!! LOVE these Baseball iron-ons and LOVE your products!!!! We are total baseball fans and this girl has 2 boys playing this spring! What better way to show off how much I love the game then sporting the bling! You have really come up with some beautiful designs for the sports this year! Keep up the good work! I love the Baseball Season because of the grilling out with friends, cheering as loud as you can in the stands, doing the Wave, Hoping for a foul ball! I am SOOOOOOOOOOOO ready for baseball season and this would start it off RIGHT! I love your products and I love bling. This mama needs to represent all the Baseball Moms! My son plays baseball pretty much year round and is hoping to go to college playing. We are a huge baseball family! I just recently ordered a few transfers last week and everyone loved them!!! 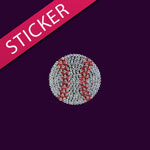 I would love to win these baseball designs to see how creative I can get!! I love Jubilee Rhinestones and always tell my friends about it. I hope I’m a lucky winner. HELLO!!! WE LOVE BASEBALL!!! I have a family of all BOYS….I have lived with baseball year round with all of them. My husband and I followed our boys through baseball innings in more 12 states. They each went to college on scholarships and after college convinced us to go into the baseball bat manufacturing business! Their fav saying? ….”It is always baseball season somewhere in the world! !” And indeed it is…or so my three television sets verify it. I love your site, and I love to sew. Thanks for being here for the more ‘girly’ side of my life! What is your company? We are always in the market for bats and equipment! Shoot me an email sometime. ancoclerk@gmail.com. So glad to be a part of a group of other baseball moms.